Cass Pennant was one of the best-known figures of the I.C.F. He has used his unique position as a West Ham insider to bring together these first-hand accounts of the men who were at the eye of the storm, both on and off the terraces. These tales from the terraces range from the inflamed East End rivalry with Millwall, to the shed-end-battles with Chelsea, from aggravation at Anfield's Kop to the disaster at Heysel. The stories unfold against a backdrop of sharp fashion and music, such as The Cockney Rejects and Sham 69 that became the hallmark of the hoolifans. 2. Congratulations, You Have Just Met the I.C.F. 4. 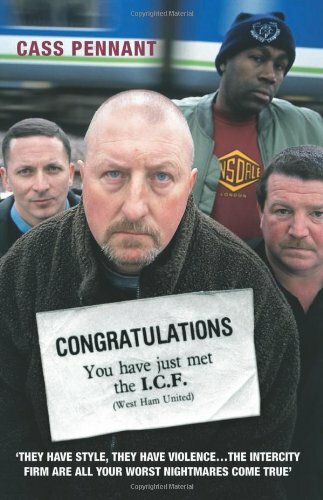 Congratulations, You Have Just Met the I.C.F. 5. 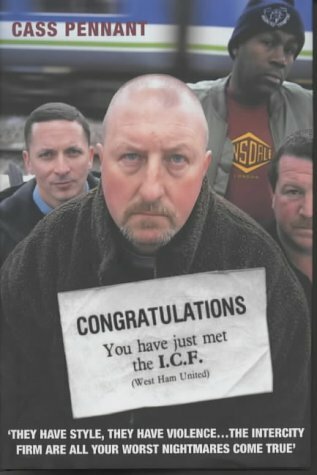 Congratulations, You Have Just Met the I.C.F.